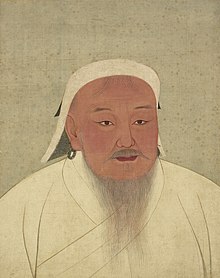 Genghis Khan as portrayed in a 14th century Yuan era album. ↑ (1959) "". Central Asiatic Journal 5. Retrieved on July 29, 2011. This page was last edited on ४ फेब्रुवरी २०१५, at ०७:२१.